If, tragically, you don’t reside in the humble state of South Australia, you may never have had the joy of chomping your way through a bag of FruChocs. These little jewels are a delicious testimony to the good people of SA, and have hallmarked many a study session/lecture/movie/birthday/car drive/Wednesday night. 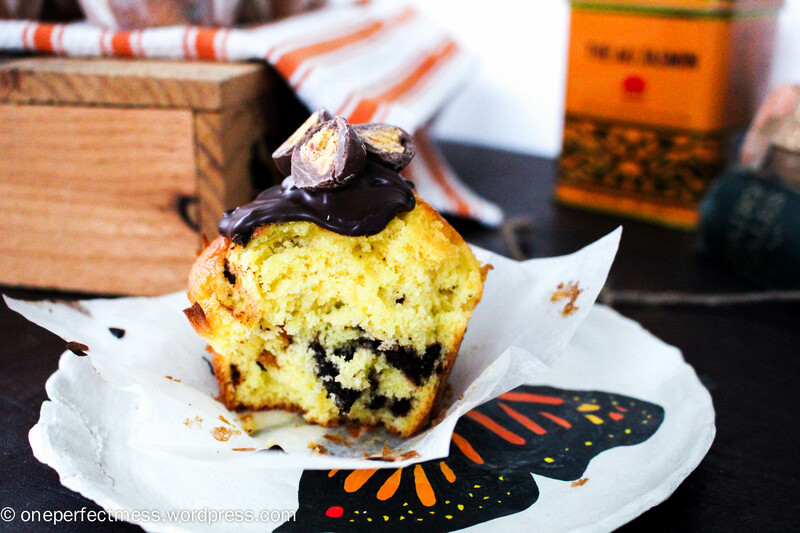 They are simply a soft, sweet little morsel of dried apricot nestled in a blanket of smooth dark chocolate, and they definitely deserve a muffin recipe in their honour. All three of my favourite things in one moist, crumbly, fluffy muffin that is so moreish, you’ll need to quickly give some away to avoid inhaling several as they come out of the oven. I slightly adapted this recipe from one I found on Sally’s Baking Addiction. Sally’s blog is one that I often refer to and scroll through when I’m looking for inspiration, she does everything right and her posts are a joy to read and cook from.